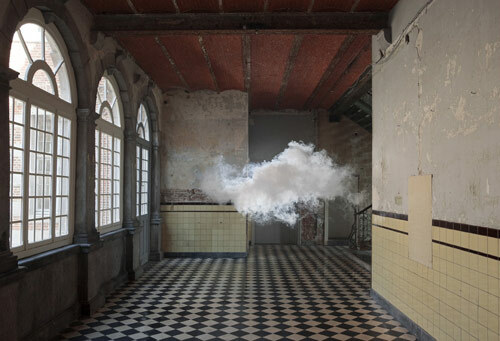 Smilde, who lived in Amsterdam, said he wanted to make the image of a typical Dutch rain cloud, inside of a space. 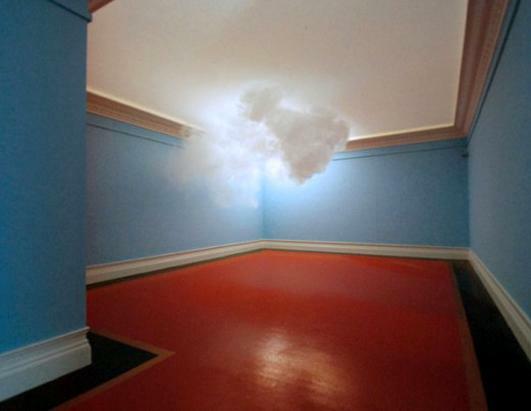 "I imagined walking into a classical museum hall with just empty walls," he said. 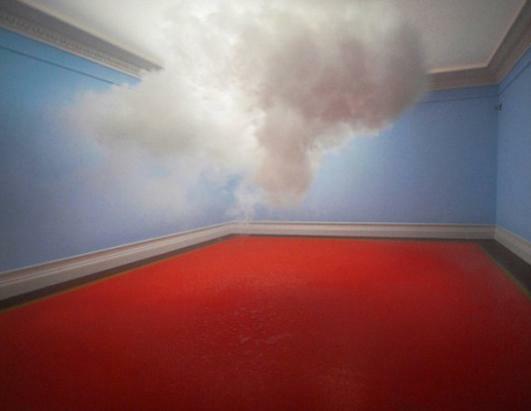 "There was nothing to see except for a rain cloud hanging around in the room." 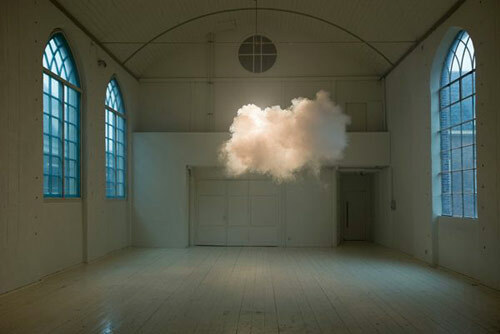 "It is the short moment in time on a specific location," said Smilde, describing how the cloud formations are fleeting. 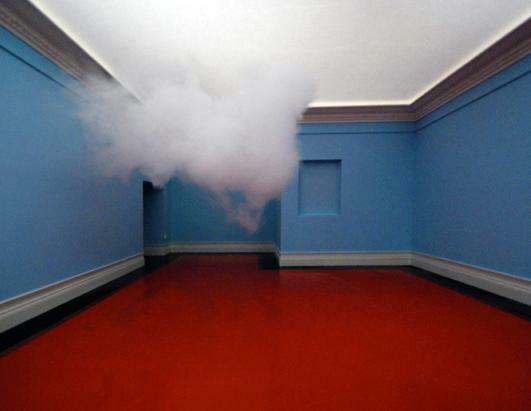 "The photo functions as a document." 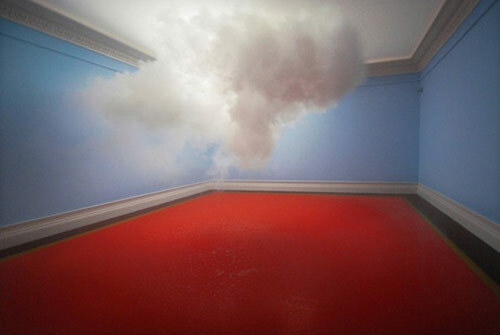 The first exhibit featuring indoor clouds, called Nimbus, was first done by Smilde in 2010. 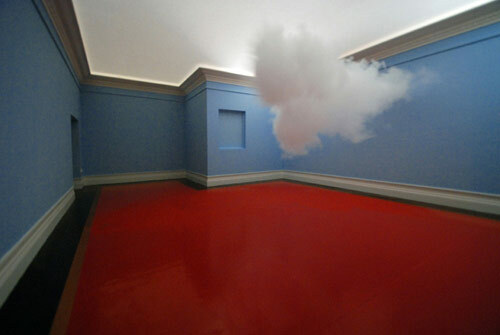 "I wanted to make a very clear image, an almost cliche and cartoon-like visualization of having bad luck," he said of his 2010 installation. 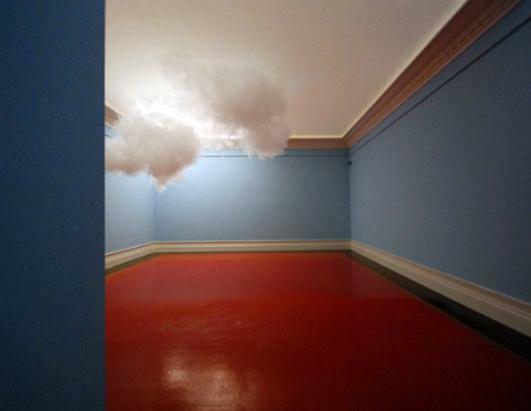 "'Indeed there's nothing here and bullocks, it's starting to rain!'"